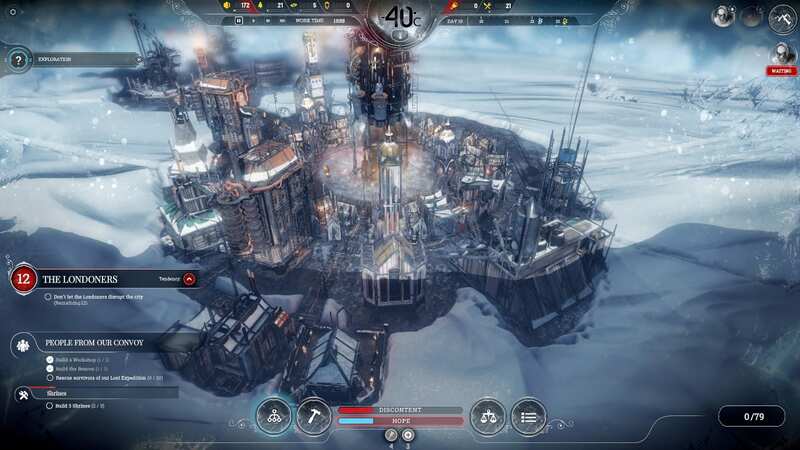 Frostpunk is extremely harsh with its dramatically dismal atmosphere, but its steampunk theme is aesthetically alluring and somewhat helps alleviate that. Good games don’t release every day. No. Correction: good simulation games don’t release every day. I have played many simulation strategy games back in the day and I still do now. Personally, I have invested an inordinate amount of time in Cities Skylines, The Total War Franchise, and Sim City. So, perhaps it is safe to say (not to self-brag of course) that I have a great deal of knowledge regarding games of this specific genre. Before I begin, I feel it imperative to explain that I have a natural taste for unique things. The last generation of simulation games were so unoriginal that I eventually lost my appetite for them. But, thanks to the brilliance of the thriving indie-industry, Frostpunk happened. I believe that it is by nature’s will that I am attracted to games and my love for them has created an inexorable urge that I have no control over. Hence, I developed a tendency of recklessly spending on any trending game in the market. Frostpunk’s Youtube Trailer had me so thrilled that I drew up a chart to specifically minimise improvident spending. This helped me save up a lot of money in turn. And luckily, when the game released, I had exactly the sum that was mentioned on the price tag. So, I went ahead and got hold of it and my lonely little life bloomed with meaning again. In the alternate timeline of 1883, the world is engulfed by a cataclysmic snow storm. The frost leads to failure of crops and the death of millions of people. This freezing of the world was a direct fallout of the 1883 eruption of Krakatoa, a volcanic event which led to a rapid climate shift. When all the biggest cities of the world failed to sustain life, a group of London dwellers fled the city on an expedition to the North in search of massive reserves of coal, food, and shelter. Unfortunately, the group gets separated from the main expeditionary party and comes across a colossal heat generator inside a crater. The player’s objective is to build and rule over a flourishing city amidst the frozen desolation and survive the final storm that prophesied to take temperatures to immeasurable odds. As I have already mentioned before, I have a craze for strategy simulation games. Although I must confess that I am particularly fond of RTS games, I am quite opposed to the concept of TBS; unless it is Total War, which I happen to be a die-hard fan of. 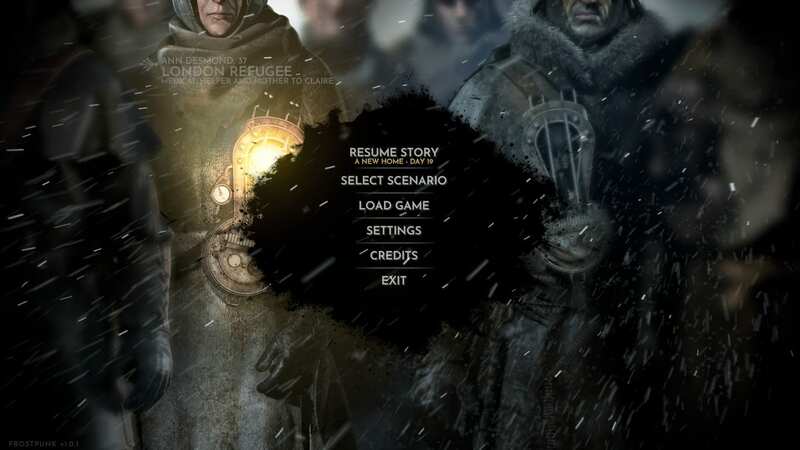 Frostpunk felt very unique to me. The setting and the concept are all new to the RTS genre. In one word, it is ‘revolutionising’. Who knows, maybe it will brand an entirely new play-style of its own and inspire other identical simulation games one day? Anyway, let’s set aside these predictions and focus on what’s more important. 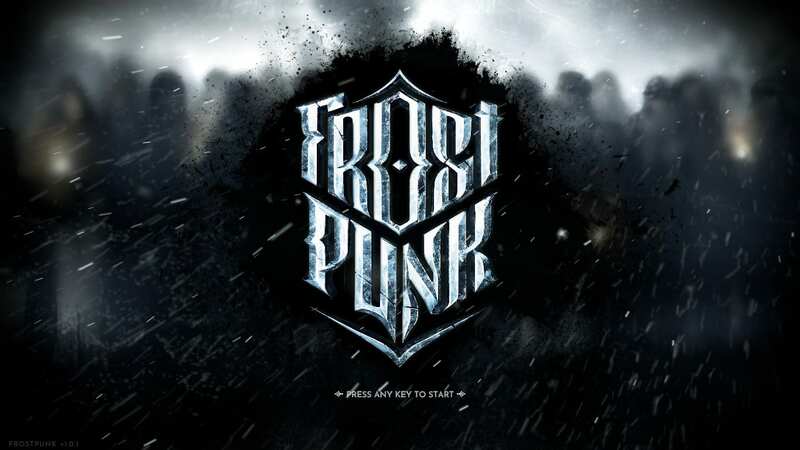 Frostpunk is primarily based on “accurate economic management, meticulous and intuitive decision making and sustainable development.” With that having quoted, it is necessary to keep in mind that the gameplay encircles the colossal generator. This generator delivers warmth and keeps the citizens alive. But there is a clever twist to it. The generator has a fixed range (upgradeable by the means of researching) and a fixed level of heat that it could generate (also upgradeable by the means of researching). Shall the situation call for immediate reinforcement, the OVERDRIVE can be cranked on to provide additional warmth from the biting cold. But beware, if the generator overheats, it will blow up and the game will be over. The most fundamental aspect of the game is the ‘hope’ and ‘discontent’ bar at the bottom. If discontent and hope reach a critical stage, things will start to look dire in the city. Eventually, the people will mutiny and banish you from the city and the game will be over before you know it. Therefore, the most important job is to strike a proper balance between these two variables. The citizens come in three different categories. There are workers, engineers, and children. Engineers specialise in technical jobs, including researching and practice of medicine. They can, however, be assigned to complete other tasks during a crisis. The workers specialise in any type of job that does not require technical knowledge. They could be sent off to gather resources, operate coal mines or sawmills. Children, on the other hand, can either be kept within the safety of the household or could be used as an efficient workforce in safe workplaces (it is quite dark, but I will give it a pass since I am quite fond of dark stuff and it is the 1800s so child labour is a common practice). There are also automatons which could sustain the cruel climate and work when the workers can’t. But such a thing comes at a price. These robots come at exorbitant rates and require steam cores to be made. There are a variety of buildings, each with their own attributes, which could be constructed around the generator. When built within the heat zone, the workers can work there without having to worry about getting ill. If the buildings are built outside the range of the generator, the cold could inflict severe injuries on the workers. Alternatively, if the situation demands that the buildings be placed outside the range of the generator, heaters (needs research to unlock) could be cranked up in the specific buildings and steam hubs (also needs research to unlock) that produce their very own heat zones can be installed on the streets. The beacon is a building which unlocks exploration outside the crater. Workers could be assigned to the expeditionary party who then become scouts, whose sole objective is to forage for resources in the wilderness and distant places beyond the crater. The book of laws could be used to enact new laws. This, in turn, unlocks additional buildings for construction but also burdens the player with the task of constructing the said facility. The inability to complete the objective would affect hope and discontent, much the same way as every decision ever made will have repercussions. While in mid-game, an event will trigger causing split of the workforce. Some people will revolt against your rule saying that they should never have abandoned London and would form a cult called the ‘Londoners’. These people strive to abandon the settlement. 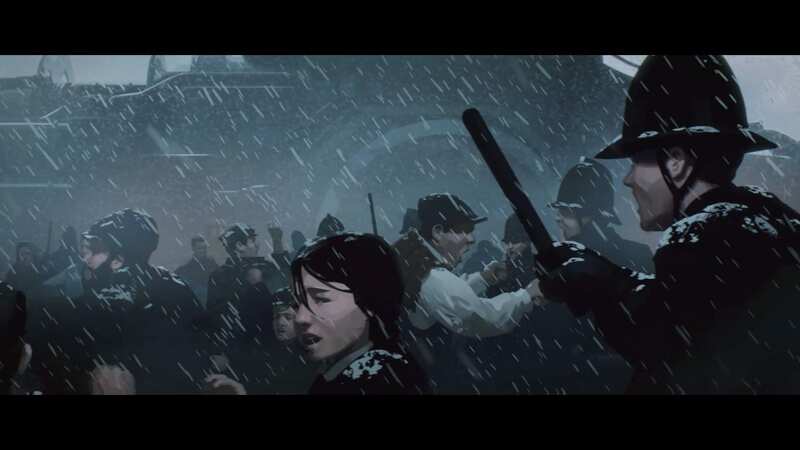 The player at this stage is coerced to choose between ORDER and FAITH to quell the uprising. Each of these approaches would unlock different buildings. While the former is despotic and violent, the latter is more peaceful. 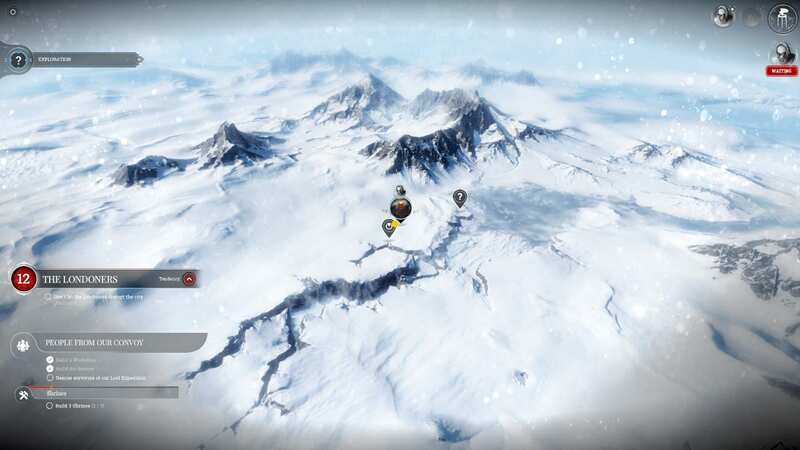 The final objective to finish the game is to survive the last great snow storm. When it hits, the temperature will go below -100°C. It is highly advised to turn the heat up to max and keep your workers inside the warmest buildings, preferably the ones close to the generator. It is also advised that a burgeon of coal is carried out prior to the final event because during the storm the coal mines would collapse and the output will drop significantly. There is no doubt that Frostpunk is an absolute masterpiece when it comes to style, atmosphere, and visuals. It is a unique creation of its own with intricate details and tends to do things in its own way as opposed to traditional simulation games. But I personally think I would have liked it even more if it were endless. Imagine the fun of making an immense city from scratch, with an abundance of resources at your disposal, waiting to be exploited and with no boundary to demarcate building restrictions. Now that is a great idea for a game mode I would love to see the developers implement. 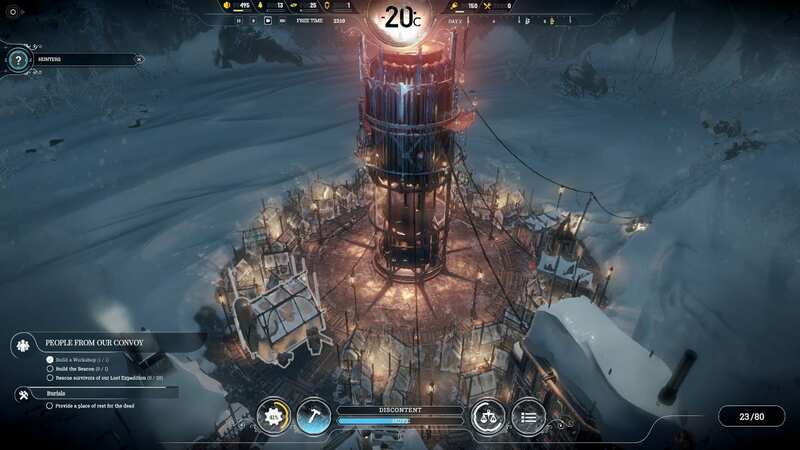 Frostpunk is extremely harsh with its dramatically dismal atmosphere, but its steampunk theme is aesthetically alluring and somewhat helps alleviate that. It’s a wonderful game both by looks and gameplay and puts even some of the biggest RTS simulation games to shame. The gameplay is innovative and the execution is unique. Rest assured, you won’t get bored halfway through it. There is always something new to do and there is always some obstacle to overcome. It is priced at Rs. 699 on Steam and comes pretty cheap for a game made by an indie company. It is flawless and is totally worth your time and money. 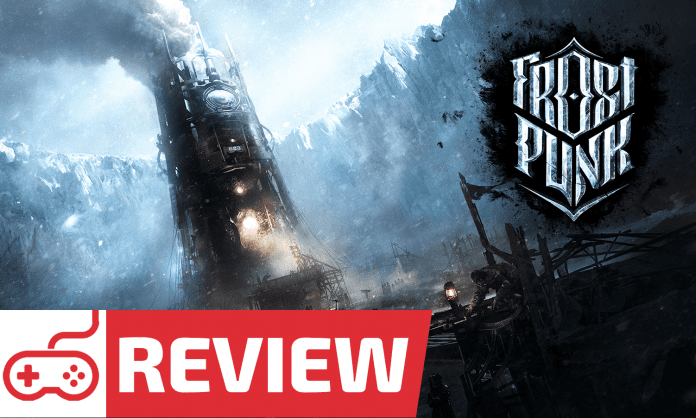 What do you think about Frostpunk? Were you able to survive the final storm? Let us know in the comments below. Make sure you subscribe to our push-notifications and never miss an update on Frostpunk. Until next time, Happy Gaming!